There is no secret sauce to being successful in sales. It all starts with building a consistent, repeatable, scalable daily activity framework that ensures you do what needs to be done. Our guest in this episode is James Bawden. James is a sales professional and frontline salesforce advocate with a decade of experience across industries, spanning from wireless retail sales to complex B2B sales. 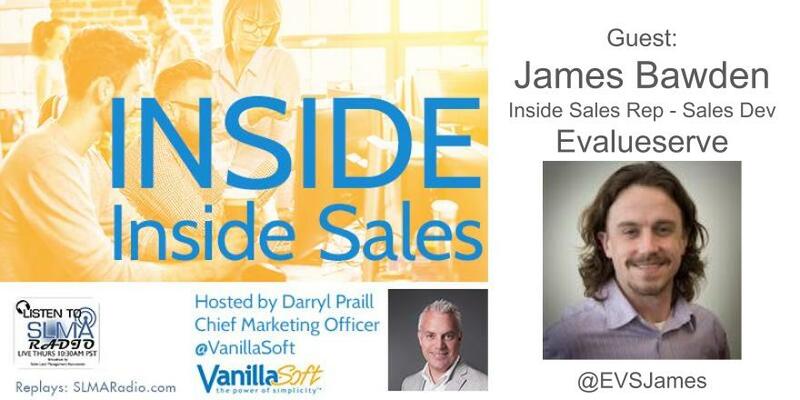 His unique mixture of full cycle sales, sales development, enablement and leadership experience has resulted in his real world, practical views on what works for sales teams. He is fiercely passionate about all things sales, especially providing a voice for salespeople who are just beginning their careers. Thursday listen live 10:30 am: Sales is a profession with a steep learning curve, and a short timeline to produce results. If you’re a new sales development rep (SDR), what can you do to succeed, and what mistakes should you avoid? Host, Darryl Praill interviews Lori Richardson on this topic. 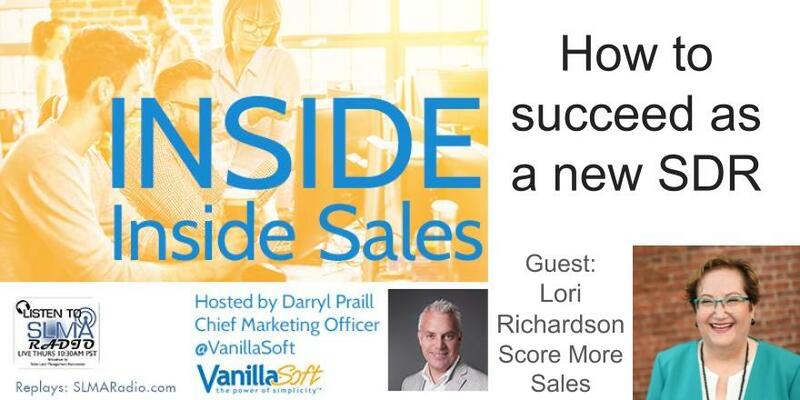 Lori Richardson is the founder of sales consultancy Score More Sales, where she helps company leaders fix sales team issues to grow more revenues. She is the voice for "more women in sales” and is the President of Women Sales Pros, chartered to get more women into B2B sales and sales leadership roles in companies with male majority sales teams. In Lori's technology and financial services sales career she worked for 23 different sales managers and she has helped onboard over 1,000 SDRs, BDRs, and AEs in a 3 year period. Her new book, "She Sells, She Leads" will be available in September.